Home / General meeting / The 6th/2017 General meeting of the Council of University Presidents of Thailand and the Association. Time: 8.00 AM – 12.30 PM. Venue: Jira Boomark Meeting Room, 3rd Fl. Sayamboromrajakumari Building, National Institute of Development Administration (NIDA). Progress report of Innovation Hubs project. 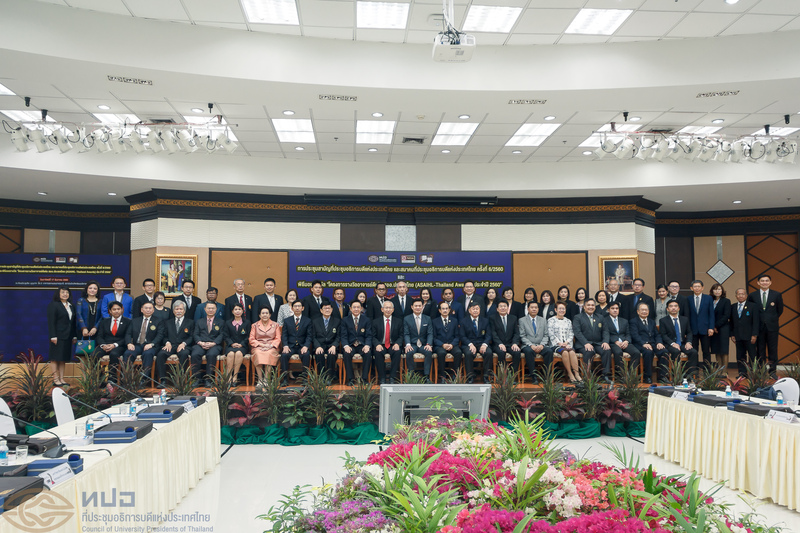 A project to celebrate the 45 years of CUPT in the topic of “University, the driver of Thailand 4.0”. A CUPT membership applying of Navamindradhiraj University. Suggestions to adjust the conditions for the 2017 Academic Placement Act issued by Civil Service Commission in Higher Education Institutes. Appoint a title of accountant and auditor of CUPT and the Association. A special case of requesting to waive the right management fee on the project of “Academic Opportunities Distribution”. (Draft) The schedule of meetings of CUPT management committee and general meetings of the CUPT and the Association. Date and time of the 1st/2018 General meeting of the Council of University Presidents of Thailand and the Association. The Deputy Minister of Education, Clinical Prof. Udom Kachintorn, delivered the policy of higher education. General Surayud Chulanont, Privy Councilor (PC), chaired The Association of Southeast Asian Institutions of Higher Learning (ASAIHL) Thailand 2017 Outstanding Lecturers Awarding ceremony. A special talk on the topic of “CODE: Cracking the Code of Thai Industry Future” by Ms.Erica Maesincee.